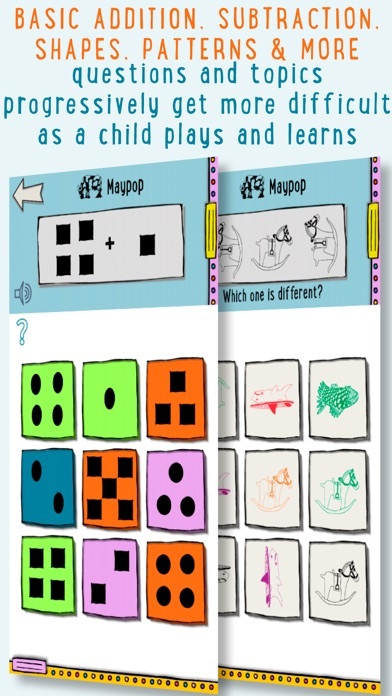 theGames: Kindergarten Math Standards is a great educational app for kids that not only gives them practice with a variety of math skills, but also provides progress information for parents and teachers to follow. 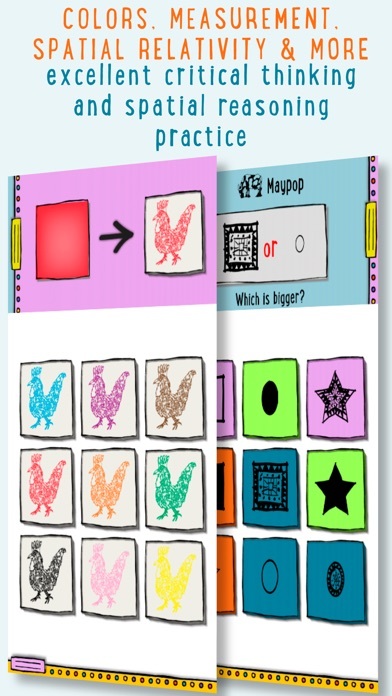 This high quality app allows children to work on shape recognition, counting, sequencing, addition, subtraction, and so much more. This is one app parents with pre-schoolers and kindergarteners won’t want to miss out on. 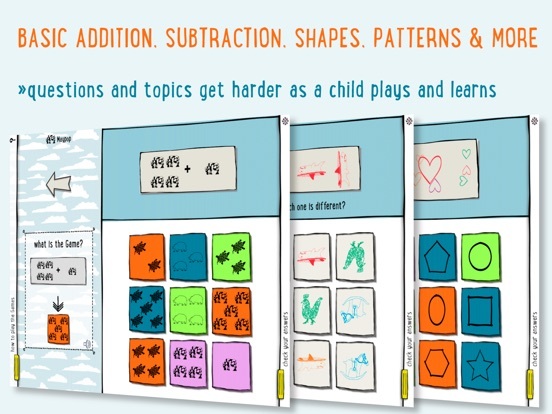 theGames: Kindergarten Math Standards is a great educational app for kids. It is full of whimsical illustrations and images that will keep children engaged as they learn. Each game provides not only a visual representation of the instructions, but also allows children to listen to the instructions from the narrator which is great. The developers have also included an easy to use multiple choice option for players as they answer each question, making it really easy to use. Parents and teachers will love the fine-tuning control that allows “assignments” to individual users. There are options to change the starting level and to include or exclude various types of skills. There are also detailed reports available that identify topics where children are doing well, where they are performing inconsistently, and where they need additional help. 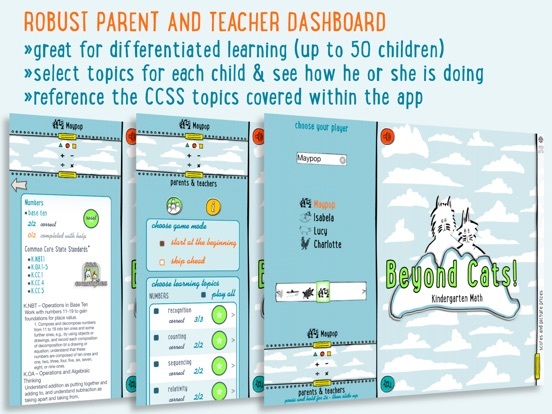 This app is a must-have for parents with young children at home and for teachers. 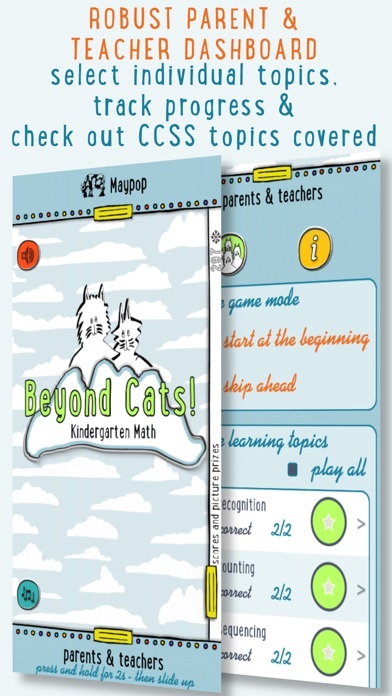 The developers have done a magnificent job creating an app with a wide variety of math problems that increase in difficulty for all learning types. 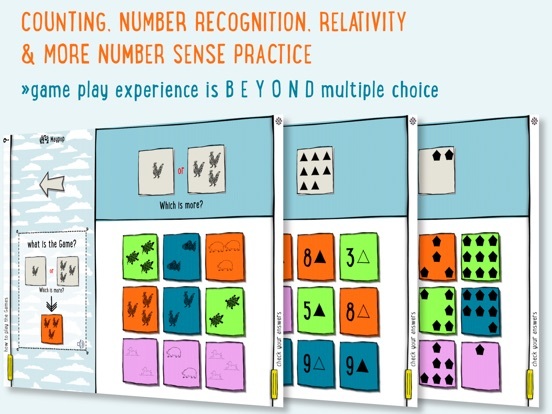 Players will not only be working on their counting, sequencing, addition, subtraction, recognition, etc. skills, but they are also being exposed to multiple ways to learn. For instance, some of the matching options provides children with a color in one shape and they must select the same color in another shape. There are also activities that provide children with half of a shape and they must select the full shape that matches the half. Some of the activities access higher-level thinking skills, such as closure and consideration of multiple attributes. These great activities provide children with a lot of great practice to get them ready for Kindergarten. The developers have also set up each activity in a unique way. Not only are the questions multiple choice, but children can also choose to use the narrator to get instructions on each activity or choose to follow the visual instructions. 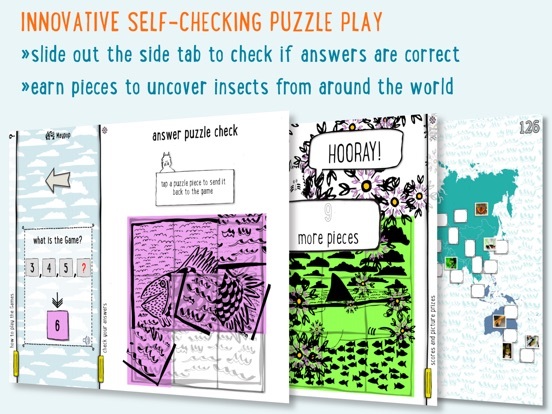 There is also a self-check option that allows children to see how well they are doing in each activity by sliding the the puzzle to the side to see if each piece (indicating each answer) is in the correct space. If not, the incorrect pieces can be tapped to return them to play so the child can try again. 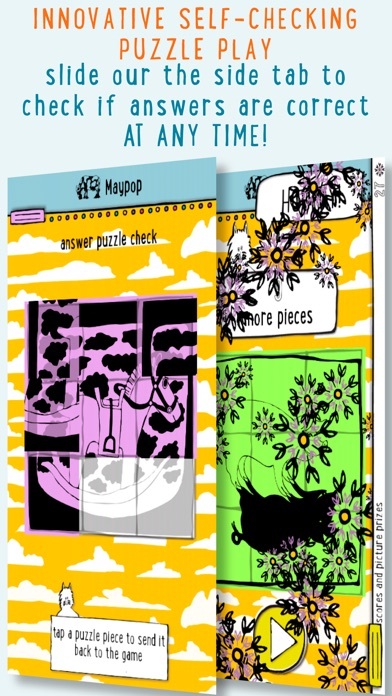 If players choose not to self-check themselves as they move through the app, they will simply select an answer for each question and they will find out in the end whether they were correct or not. 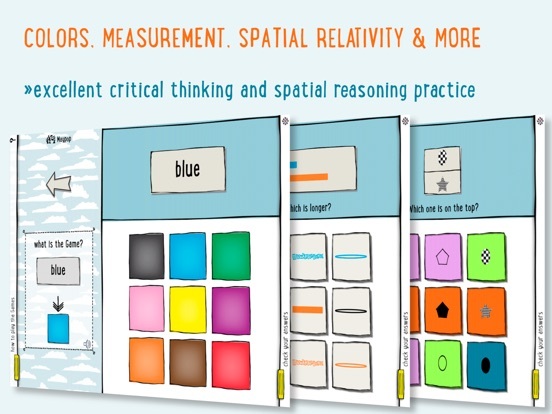 Overall this educational app is great and with the option for parents and teachers to view progress and make adjustments to some of the questions, this app would be great to use in the classroom or at home. It’s also worth noting that this app now has a Spanish language version for bilingual students or those who are learning the language. While this app is primarily an educational app for kids, it is also set up in a way that children can have some fun too. Not only are there fun animations for each correct activity that is completed, but there is also a reward system that is set up. 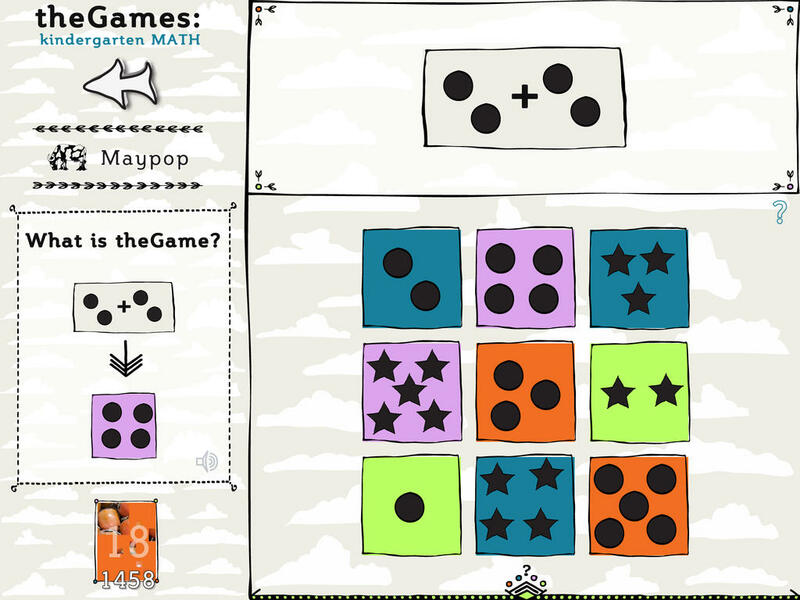 As players complete each activity correctly, they earn a number of squares. These squares are then used to uncover a particular picture that is kept in a gallery for children to view later. One minor flaw in the reward system is that it does not “lock down” when the child has revealed the allotted pieces of the picture. 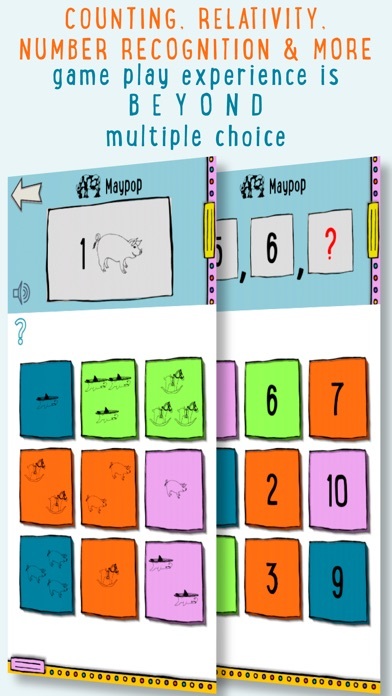 After the app shows zero pieces left to choose and indicates that the player should try more questions to earn additional pieces, users can still reveal other squares by tapping or swiping over them. They do not stay open for long, but it is possible, with quick swipes, to “peek” at the overall picture. Developers may want to close this “loophole” that many children will find and exploit. While this reward system gives children something to work toward as they play, it would also be nice to have another fun feature for children to incorporate their knowledge as well. Priced at just under two dollars this app is an absolute steal. There is so much value in the variety of educational activities that both parents and teachers may be shocked with the price. With so many activities that increase in difficulty, the option to view each player’s progress, and the option to add up to 50 players, this app is awesome. The developers have done a magnificent job creating an app that is not only educational, but also easy to use. The multiple-choice option allows children to see a number of answers in order to select the correct one while still being able to utilize the self-check option to check and correct their answers. The instructions for each activity are offered in a visual form and are accompanied with the option to hear the narrated instructions aloud which is great. Parents will also rest assured knowing that there are no in app purchase links, social media links, or advertisements to be concerned with. The parents’ area is also protected so it isn’t likely children will get into this area either. Overall, the developers have done a great job creating an app that is safe and easy to use.